Looking for a place to ride to on Long Island? 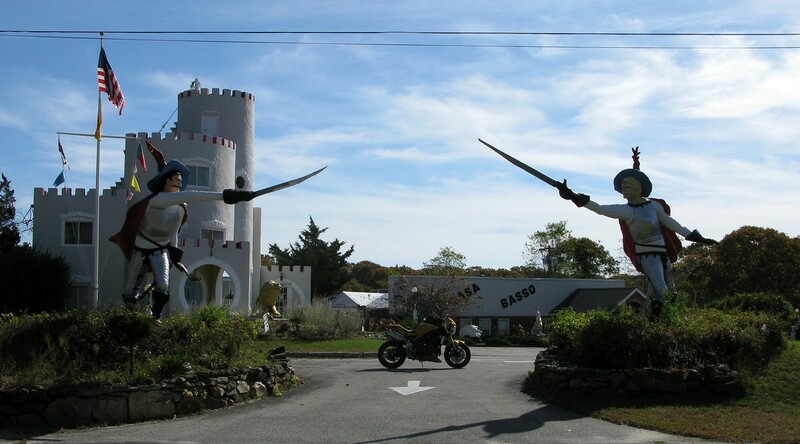 Love roadside attractions? Well, then you’re in luck. 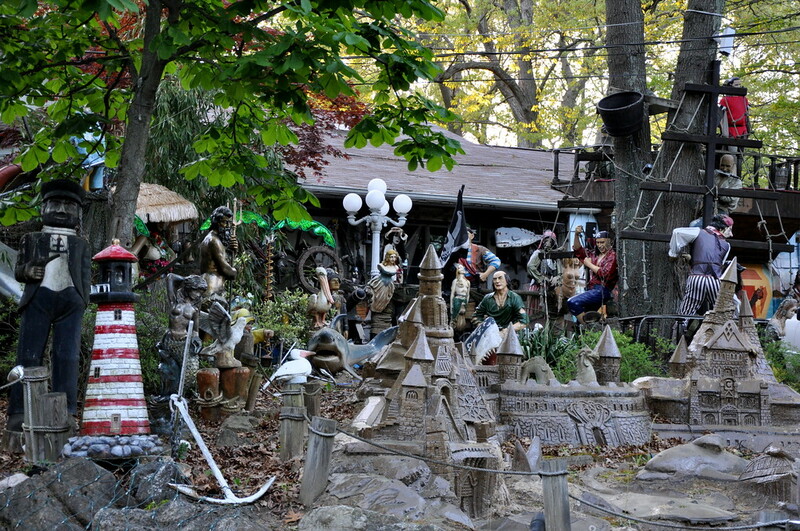 Long Island is home to an interesting collection of deliciously kitschy roadside awesomeness. Break out the map and string some these great destinations together on a route. 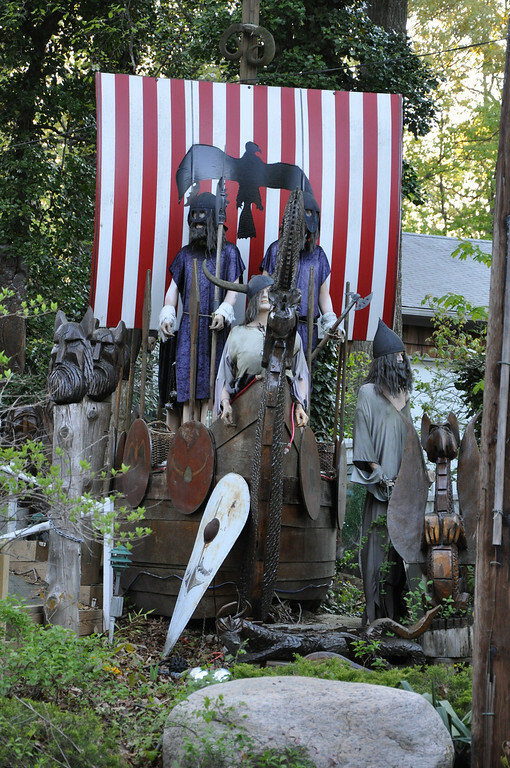 Here are 10 of my favorite Long Island Roadside Attractions. 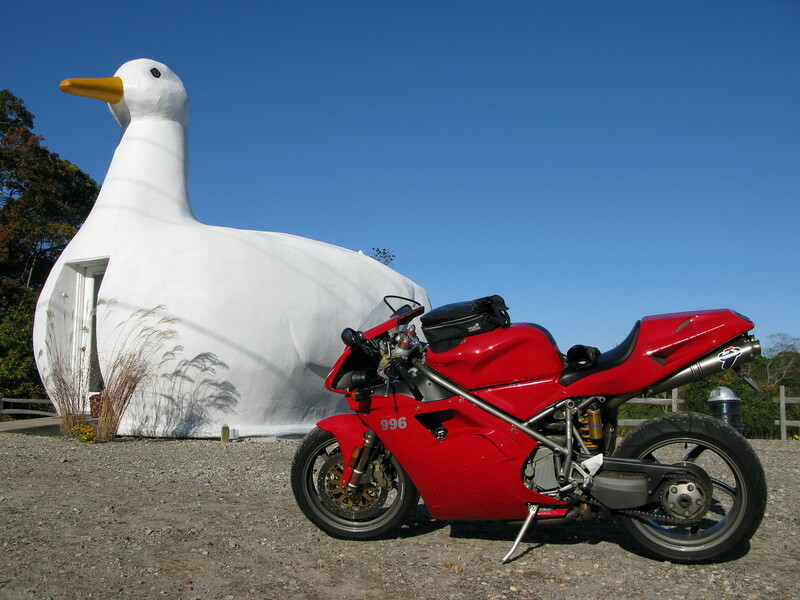 Listed on the National Register of Historic places, the Big Duck of Flanders, NY is Long Island’s most recognizable roadside attraction. It was built in the early 1930’s as an attraction to sell Peking Ducks. Constructed with a frame made of wood, wire mesh was then attached and covered in cement. The Duck’s eyes are made from Ford Model-T taillights. 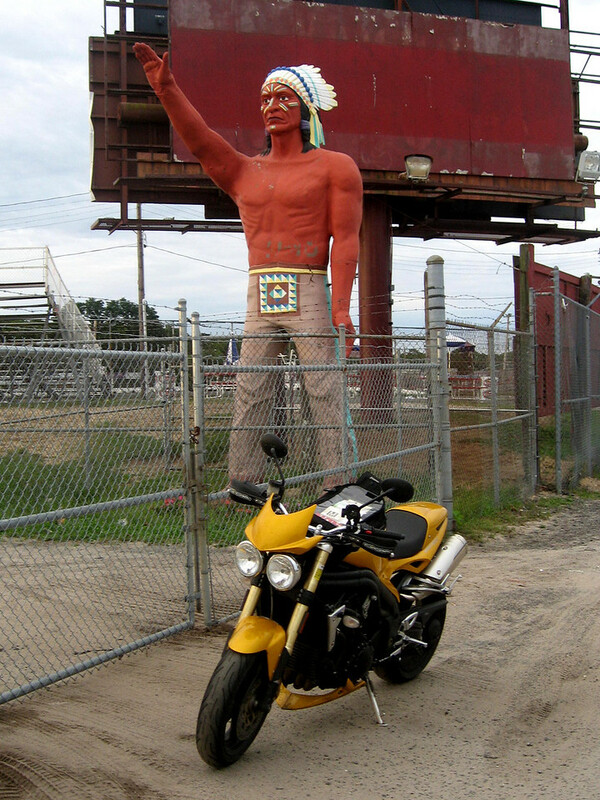 This handsome silent sentry stands on the grounds of the Riverhead Raceway. He is Long Island’s only Muffler Man. Many folks will recognize him from an episode of the Sopranos where Tony walks in front of him at the raceway. 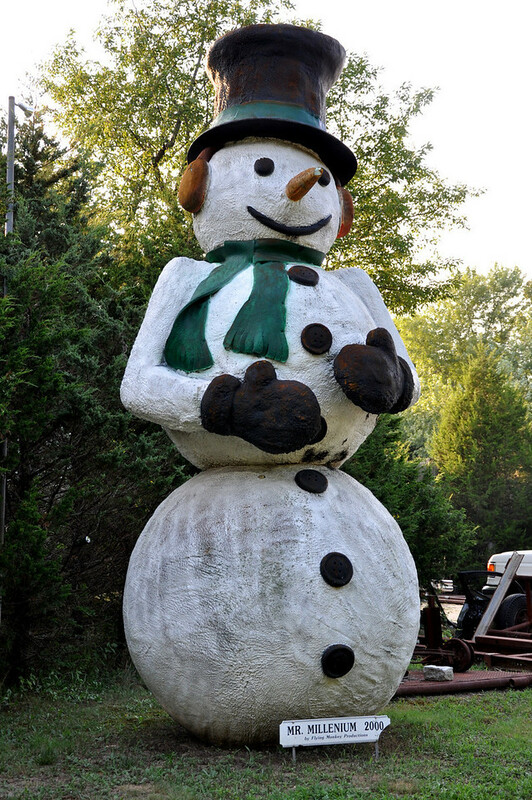 The smiling snowman is nearly 20 feet tall and stands outside of North Sea Auto Radiator on Sandy Hollow Rd. I don’t know why but I totally love his big mittens. They’re so cute! His plaque says he was made in the year 2000 and that his name is Mr. Millenium [sic]. 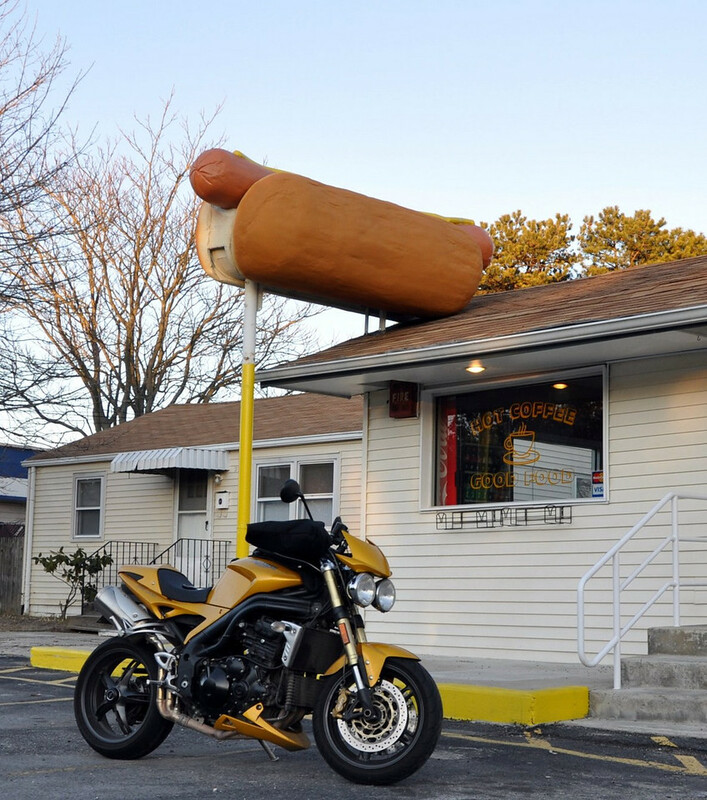 Located on top of First National Franks in Medford, the giant rooftop wiener is a winner! You can ride to eat and see something kitschy in one shot. What’s better than that? 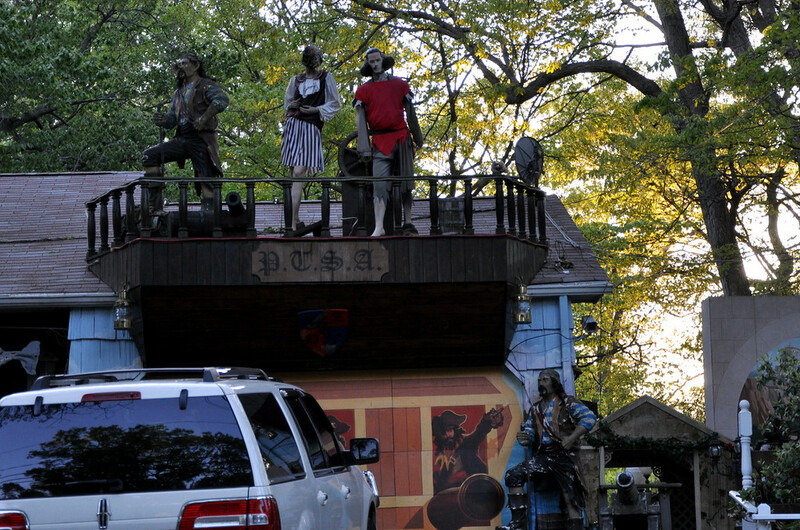 No doubt the neighbors of the Pirate House in Miller Place must get fed up with the gawkers who stop by for a look. 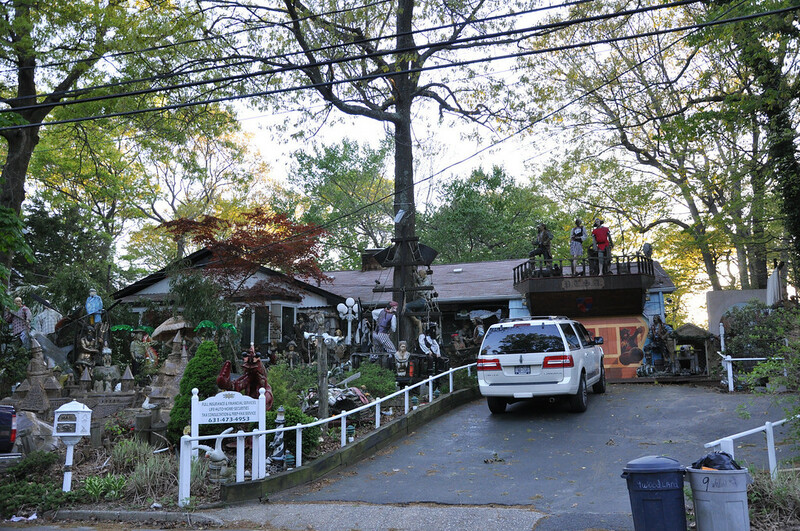 The local story that I have heard about this house is that the owner built this temple of pirating for his daughter who has a brain injury. It came in the wake of seeing her happy reaction to the Pirates of the Caribbean ride during a trip to Disney World. I cannot say if that is indeed true; it could just be an urban legend. Nothing says delicious Italian food like a stucco castle with 2 Musketeers, a horse, a two-headed snake and a gold lion in the yard. From what I understand the food is actually quite good. Go for the kitsch, stay for the pasta. 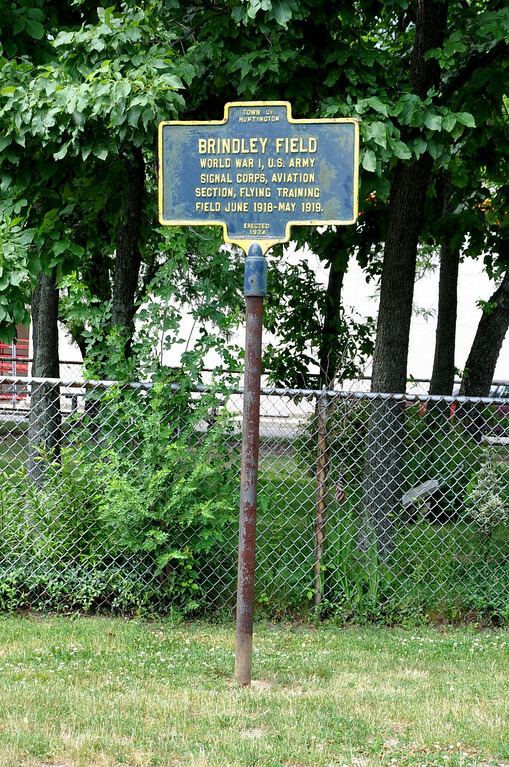 The Home Depot in Commack is now located on what was once a World War I air field called Brindley Field. Prior to that, it was a farm. 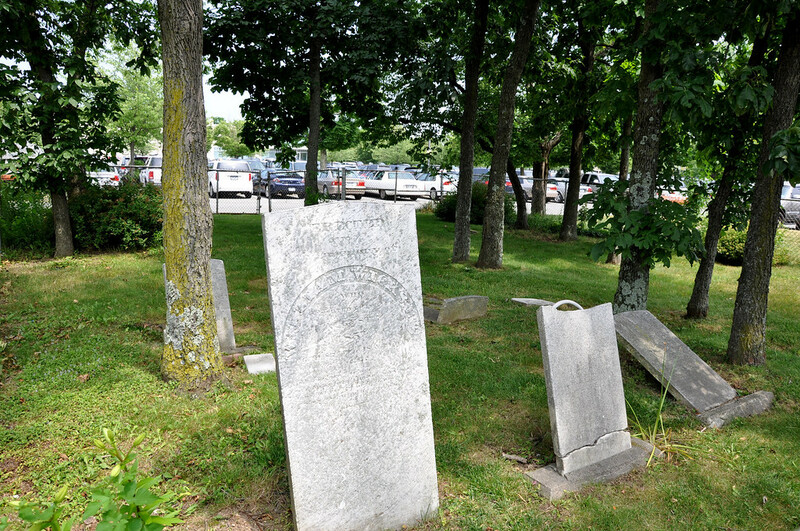 Today it has an interesting secret “hidden” in plain sight; the Burr Family cemetery plot. As people go shuffling by with their carts full hammers and nails, many do not even realize the tree-lined little square houses a handful of tombstones. I found this guy by accident one day just cruising around. He stands inside the pen of a private farm. Between you and me, I like him so much more than the oft talked about Smithtown bull. A Long Island landmark since 1911. “She who climbs the Sphinx’s head, a millionaire will surely wed.” Unfortunately ladies, the sphinx gives mixed messages with it’s ‘No Climbing’ sign. Always a bridesmaid, never a bride. This 6ft tall fiberglass Nipper the dog stands at the front door of Plesser’s Appliances in the town of Babylon. He’s a town favorite! Four of those down, six to go! 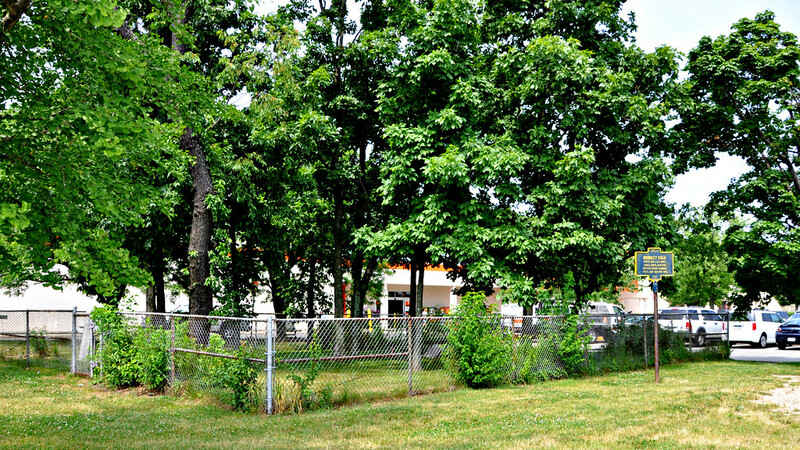 I have begun compiling a full listing of all of the Long Island roadside stuff that I know of. So far the list is pretty big! I need to finish it up and get it posted. Great post! I didn’t know about all of these and you’ve given me ideas for future rides. You’ve performed a valuable public service! 😆 Wow, you’re easy to please, Ralph! Glad you liked ’em. How sad is it that I’m originally from Long Island and haven’t seen any of these yet?? I had planned to see the Duck a few weeks ago, but a crazy heat wave discouraged me from leaving the comfort of central air! You’re better off waiting until the Hamptons traffic subsides anyway. Then you can make a big loop back through the island and enjoy the roadside goodness! I was looking into putting something like this together, But I see you have already done a great job at it. I’m pretty sure we have spoken before and I hope to hear from you again. We’d exchanged emails around the time of the PJ Wallace parking flap. I’m surprised we’ve never crossed paths in town! any rides along the water on long island? One of the ironies of being on long island is that your access to the water is somewhat restricted. You often have to be a stickered/permitted resident or have to pay to access it or park anywhere. Other than Ocean Parkway, which is pin straight with limited views of the ocean (you see more of the bay,) there really aren’t any long, enjoyable stretches of road near the water. There are little pockets here and there where you will enjoy some water views but they wouldn’t be worth traveling TO long island for. They’d be something of a stopgap measure while you’re already here.